The popularity of Bitcoin and other cryptocurrencies have seen tremendous growth in the recent past. This has seen many avid investors flocking into the markets. Unfortunately, this has also given rise to lots of scams looking to take your hard earned money. So what do you do and how do you protect yourself? This bulletproof scam test, adopted from 99Bitcoins bitcoin scam test will give you a very good indication, certainly a step in the right direction, in discerning legit from scam. Below are the questions that you need to answer as you go through the company in question, making sure it ticks all the boxes. I would recommend answering as many of the questions on this list as possible. The more questions you skip and overlook the higher the chances you are living to the possibility of being scammed. Even though this is a comprehensive list, it is not the ultimate tool. Ok, let’s dive right in. Most legit companies will usually have the information readily visible on the website. 2. Where is the company registered? Also take note that some companies are registered in multiple locations, because of the nature of their business. But make sure you know where exactly. 3. What is the company registration number? If the certificate of registration is not available on the website you can easily search company listings online. Government business sites, business directories specific to the region the company is registered in will normally have this info. 4. Where are the HeadQuarters/Physical offices? There will usually be a physical address, make sure to verify the address on Google Maps: https://www.google.com/maps. This should show you the exact location of the company offices. 5. Can anyone visit their offices for proof and verification of documents etc? Many legit companies have an open door policy. Meaning members/potential clients can visit the offices if they have any enquiries etc. 6. Do they have a WORKING phone number and email address? This should be listed on the website. Test the number to see if it works. Same goes for the email address. Send an email to the email address listed, just asking a general question or whatever, and see how long it takes for them to get back to you. 7. Does the website have an “About us” page? If so, does it show real people who run the company / registered address? My personal belief is that the main way to spot a scam is from the “about us” page of a website. If you can’t find clear contact information, a physical address and pictures of actual people running the business it’s usually a sign of warning. One of the most dangerous things of all you can see on an about page is the vague phrase “we are a team of Bitcoin experts / enthusiasts”. I can’t tell you how many scam sites have used this description in their “about us” page. 8. Is the website more than 6 months old? 9. Does this website have an Alexa rank of 200,000 or below? So if I check Takealot for example (see above) I get a result around 2 336K. This means that Takealot has huge amounts of traffic and can probably be trusted. 10. Does the site have a domain authority of over 20? 11. Where’s the proof of their activities? Whatever the business you are researching there should be some proof of the actual business operations online or otherwise. E.g, mining farm (if it’s a mining company), trading activities, etc. 12. What about Social Proof – are they on social media? Businesses know that social media plays a very vital role in the growth of the company. So this is a norm, a legit business will be on social media to interact with their customers. 13. Do the social media links on their website work? You’ll usually see social media buttons, but make sure they all work. If you see a “Page Not Found” or the Google+ link just takes you to google.com, or there’s little to no information on their pages, it’s a red flag. 14. Are other legit websites linking to this website? 15. Are there any negative reviews for this service on Reddit.com/bitcoin? Using the subreddit r/Bitcoin can be a bit confusing. On the one hand you’re going to get straight up “no BS” opinions, on the other hand it’s hard to get a clear insight from the wide variety of opinions. Go to reddit.com/r/bitcoin and enter the Bitcoin service you are examining in the search box on the top right. You will then find different threads related to that service. What I recommend you do next is read the comments and see what people are saying. Keep in mind that the r/Bitcoin community sometimes tends to criticize so seeing bad comments is somewhat natural. Try to separate the wheat from the chaff and gain some insight that isn’t just biased due to Internet trolling. Another way for searching reviews inside reddit would be to write the website’s name + “reddit” in Google. This will usually bring up to most popular threads on Reddit about that service. 16. Are there any negative reviews for this service on Bitcointalk? Another great source of information is BitcoinTalk. The forum contains many reviews about different Bitcoin services and is usually the first one to discuss and new scams that appear. Either use the forum’s search bar or type in Google “[service name]+ Bitcointalk”. Much like Reddit, this information source supplies pretty reliable reviews but it’s usually hard to filter out the information from it. 17. What do members say about the company in the respective social media groups? Is there a good vibe? Are the members happy about the company or not? Members will generally express their opinions if all is not well with the company or if they have suspicions. WhatsApp Groups, Telegram and Facebook Groups are the most common groups to find the community of a particular company. 18. Does this website seem too good to be true. As the old saying goes, if it sounds too good to be true it probably is. As previously stated, none of these tools should be considered the ultimate test since they all have their weaknesses. Instead of using just one or two tools try using a bunch of them and see if you manage to get a good result from a considerable amount. Also, if the site you’re checking out is indeed a scam you are bound to stumble upon some reviews that imply this. Just make sure that you don’t get caught up by one single review as sometimes people just trash other businesses due to a poor experience they had – this doesn’t necessarily mean that the whole business is a scam. 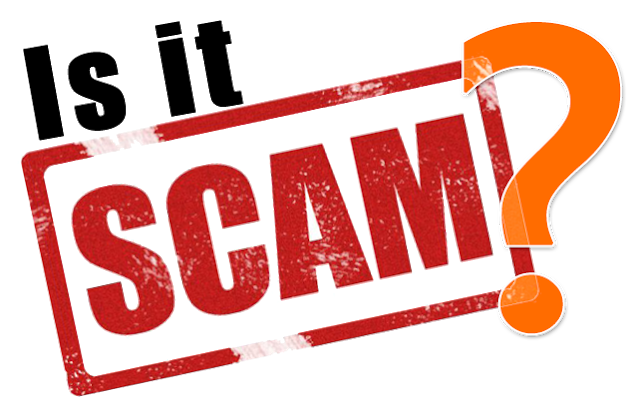 If you use any other ways to uncover Bitcoin scams leave a comment and let me know. Hope you enjoyed this guide and that it will come in handy in the future (don’t forget to bookmark it! ).